A great display of football and team spirit today against Carterton who are formidable opponents. The first half was evenly matched with Bardwell first to score when Xavier Carroll struck gold with a superb free kick. 1:0 at half time. 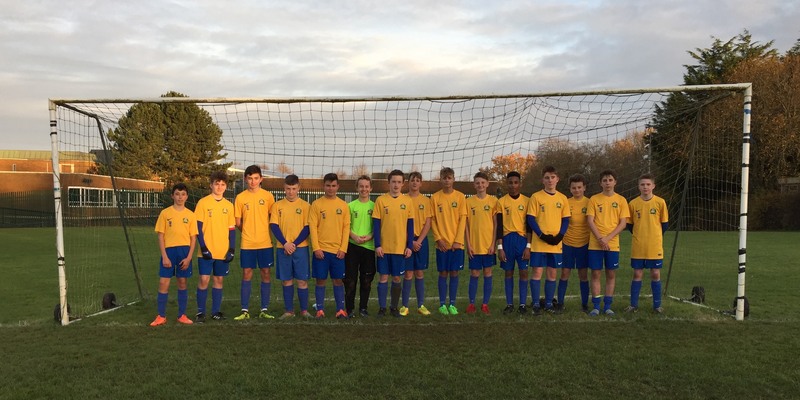 Carterton were able to test our keeper more in the 2nd half with 3 goals and despite Bardwell's late 2nd goal from Kyle Uren-Palmer and valiant efforts from the entire team the final whistle dashed our hopes of reaching the final. Coaches Denton & Hendrickse are very proud of the team. They played with with great spirit and belief and should be proud to have come 3rd in the County Cup Competition.